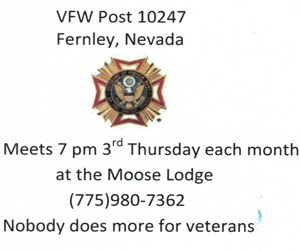 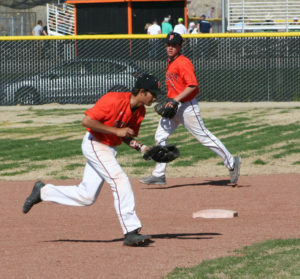 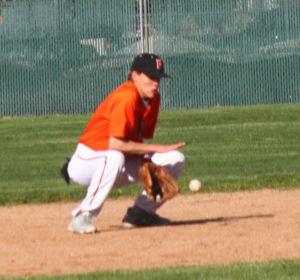 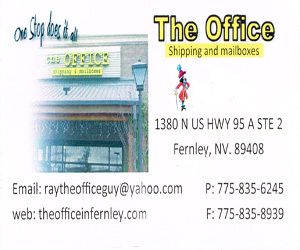 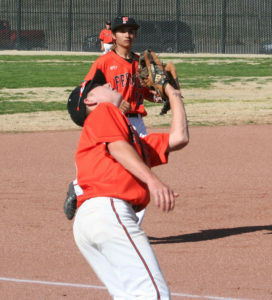 A split of a doubleheader Tuesday with Fallon kept the Fernley High School baseball team in possession of fifth place in the Northern 3A, but with two difficult weekend assignments remaining to secure a playoff berth. 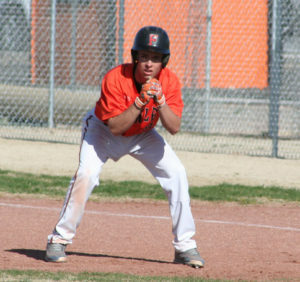 The Vaqueros beat Fallon 10-0 in the opener of Tuesday’s doubleheader to extend their winning streak to six games, but Fallon came back to win the second game 8-5. 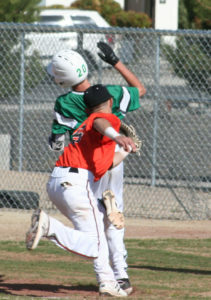 The recent winning streak helped the Vaqueros climb back above .500 in league play at 10-9, after starting out 1-6. 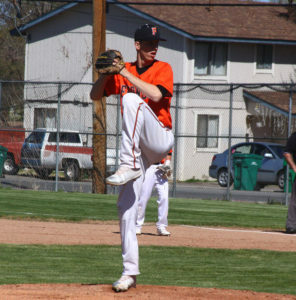 Fernley took the first game 10-0, behind a seven-run first inning and a 4-hit shutout by junior Mason Timbrook. 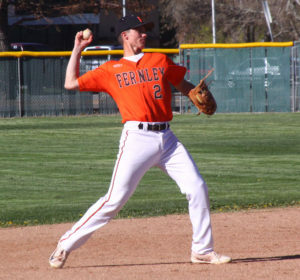 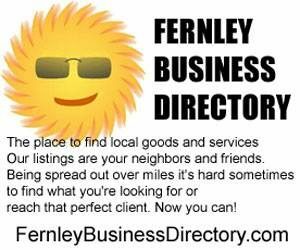 Fernley batted around in the first inning, and added another run in the second and two in the fifth to end the game early. 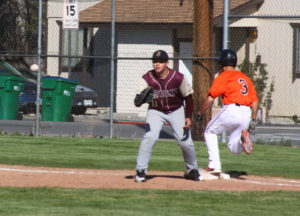 Zach Burns drove in three runs for Fernley and Ryan Harer drove in two. 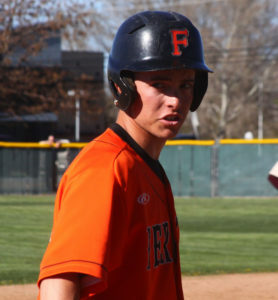 Timbrook struck out three, walked three and allowed five hits for Fernley. 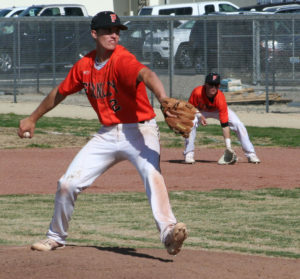 In the second game, the Vaqueros were stymied by a dominant performance by Fallon’s Hayden Strasdin, who went the complete seven innings, allowing seven hits and two walks with nine strikeouts. 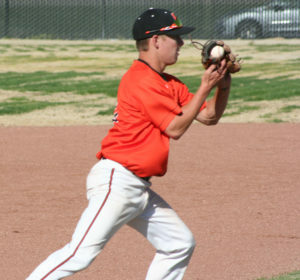 Strasdin allowed just one run through the first six innings, while Fallon built an 8-1 advantage. 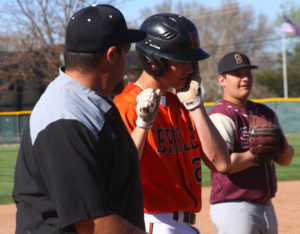 Fallon came into Tuesday’s games in first place, after beating Elko in two of three games last weekend. 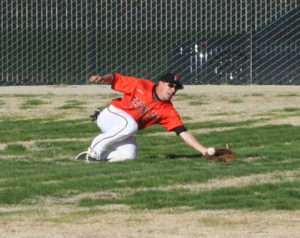 It helped, Torres said, that the Vaqueros had an easy time last weekend against Sparks, where they swept three games by a total score of 49-1. 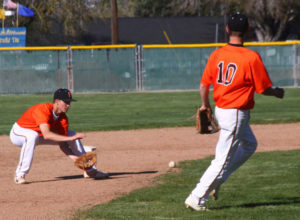 Fernley won the first game 15-1, the second 18-0 and the third 16-0, and were able to spread the pitching throughout several different players, leaving Timbrook and Zach Burns available for Tuesday’s doubleheader. 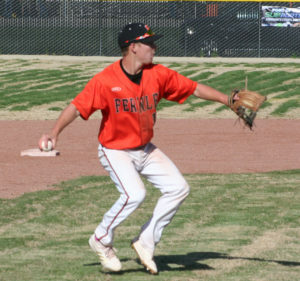 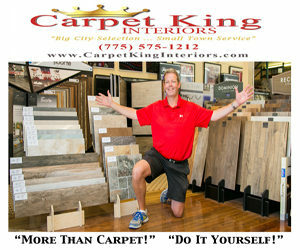 The return of Jay King and Drew Miller, two players who missed the early part of the season with injuries they suffered during basketball season, has been a key in the Vaqueros resurgence. 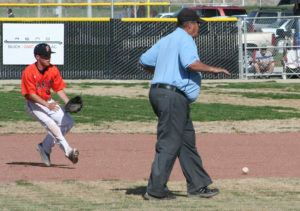 The Vaqueros will have to continue to play well to remain in the playoff chase. 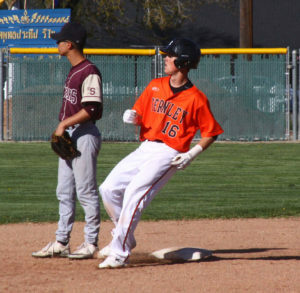 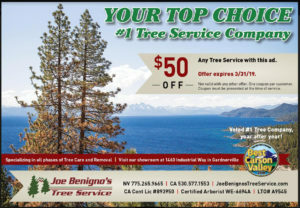 They are facing South Tahoe this weekend, which enters the series in fourth place, and hosts Elko next week, which is tied with Fallon for first place.